This year’s panel of esteemed Judges have been revealed and will be tasked with judging on the 22nd November 2017. The Award Finalists will be announced on the 7th December at the Governor’s House. Prestigious 2017 Governors Award for Design and Construction Excellence Launches Residential and Commercial Categories. 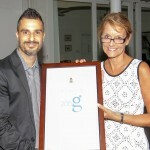 Her Excellency the Governor Helen Kilpatrick CB, in conjunction with the Cayman Society of Architects, Surveyors & Engineers (CASE) and the Cayman Contractors Association (CCA), launched the fifth national Governors Awards for Design and Construction Excellence in the Cayman Islands on 5th October. This year’s Awards, which take place every other year, includes two categories for the first time, residential and commercial, in response to the wider range of developments within the local construction community. 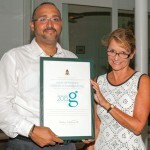 09 December 2015 (Grand Cayman) – From a strong field of shortlisted nominations, Her Excellency Governor Helen Kilpatrick is delighted to announce the Beach House, Little Cayman and Rum Point House, Grand Cayman as joint winners of the 2015 Governor’s Award for Design and Construction Excellence. On making her decision the Governor commented on the contrasting responses of the two Award-winning projects to their locations and that they represented two very different but superbly designed and executed variants of the classic Caribbean beachside residence. 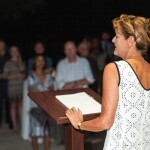 “I am enthusiastic about the Awards programme and how it continues to celebrate design and construction excellence across the Cayman Islands,” she said. 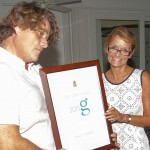 Expressing her delight at the high level of sustainability and environmental responsibility shown by all of the nominations for the Award, the Governor also announced that James Whittaker and GreenTech Environmental were commended for their exemplary contribution to sustainability and environment awareness in the field of residential building science in the Cayman Islands and for their various education and outreach programmes. 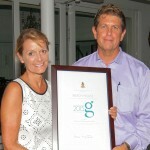 The three awards were presented at a reception at Government House on 08 December 2015. Please see a summary of images for both of the stunning winning houses.